You have chosen County Wicklow as your preferred holiday destination. 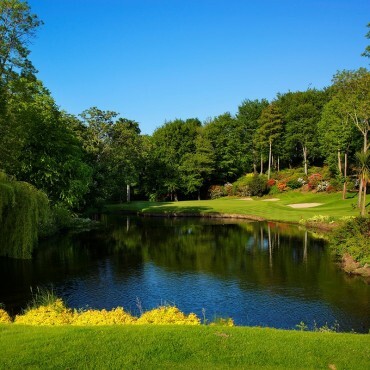 Nestled amongst 400 acres of rolling countryside and woodland, set between the Wicklow Mountains and the Irish Sea and just 30 minutes drive from Dublin, the Druids Glen Hotel & Golf Resort is the perfect choice for a luxury break for everyone. 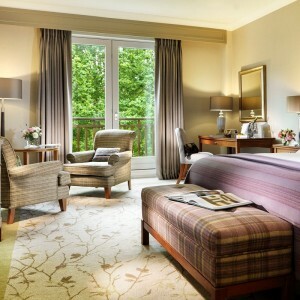 Guest accommodation is modern and spacious, with every comfort in mind and every room enjoying stunning, panoramic views across the Golf Courses, to the Irish Sea, or Wicklow Mountains. 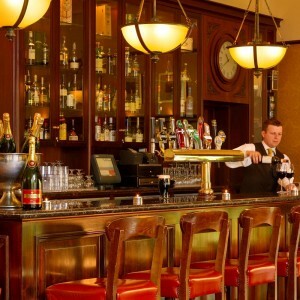 Hugo’s restaurant offers a la carte dining with woodland views, whilst a more casual menu is available at the comfortable and cosy Fairways. 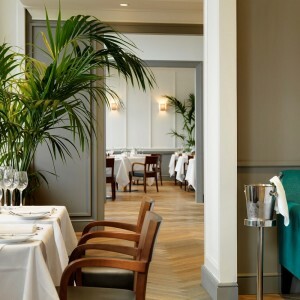 Locally sourced produce is available at the 400-year-old Woodstock House, also serving as the Druids Glen Clubhouse and the Thirteenth Bar & Pavilion Lounge is the perfect choice to round off a busy day overlooking the famous 13th hole of the golf Course. 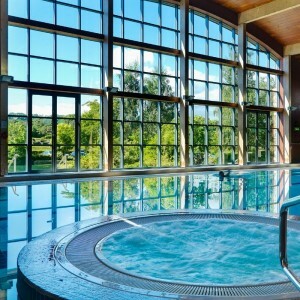 Guests can enjoy a range of treatments and massages at the Spa at Druids Glen Resort before being made welcome at the Health Club with its 18m lapping pool, Jacuzzi, steam rooms, sauna, fitness suite and classes. Families are well looked after with dedicated children’s swimming times at the pool, outdoor and indoor play areas, daily movies and supervised Kids High Tea Club. Guests staying on a golfing break can choose to play on the two championship golf courses; Druids Glen Course (7046 metres Par 71), known as the Augusta of Europe and Druids Heath (7434 metres Park 71), both set amongst the breathtaking countryside and have each hosted championship events. There is also the Golf Clinic with driving range and private tuition.